When I started working at Cookie magazine and took over editing its children's-entertainment section, I didn't know that I was among the most fortunate magazine editors of all time. But I was, because Christopher Healy wrote the section, and his immense knowledge of children's literature, music, movies, and games, combined with his superb writing and insights, made my job incredibly, absurdly easy. Along the way, he also taught me just about everything I know about covering the subject; there is no question that if I'd never met Chris, You Know, for Kids would not exist. So I'm thrilled to announce that Chris has launched his own blog, Kid Pop … and Beyond. He explains its mission fully over there, so I won't step on that too much, but in a nutshell he's aiming to cover a subject close to my heart, and I suspect those of most readers of this blog as well: kids' entertainment with crossover adult appeal. I encourage anyone who reads this blog to check it out—in fact, since I'll be frequenting his posts regularly as a reader myself, maybe I'll see you over there! Every now and then, you run into a book that establishes its author—someone whose work you weren't familiar with—as a force to be reckoned with. It happens with books for adults, and it certainly happens with kid lit; we've all heard the stories of Maurice Sendak's meteoric entry into the pantheon with Where the Wild Things Are and In the Night Kitchen, while Brian Selznick's about-to-be-a-Scorsese-film The Invention of Hugo Cabret is a more recent example. 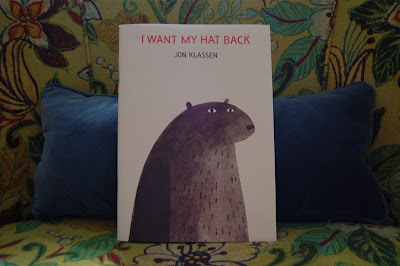 Well, allow me to nominate Jon Klassen as another entry in the ledger. His first picture book, I Want My Hat Back, has such a strong, whimsical yet black-humor-laden voice to go with its striking, lovely illustrations that it immediately places Klassen among the leading lights of his field. It's all the more remarkable for its plot's simplicity: An exceedingly deadpan bear has lost his hat, and goes from animal to animal asking if any of them has seen it. They are, in various ways, of little help—one has seen a hat but not the bear's hat; another has seen no hats at all—but one rabbit's manic response that he's seen nothing, nothing at all, strikes our protagonist in retrospect as suspicious. His reaction to this realization leads to the book's delightful, unexpectedly dark punch line, which will fill the wicked minds of kids and parents alike with glee. (Lemony Snicket is a fan, which may be all you need to know.) Klassen has created an instant classic, and I can't wait to see what he comes up with next. 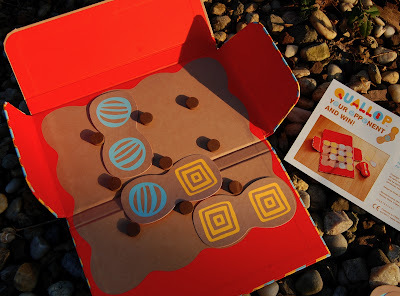 What's really fun to find, though, is a new game that's simple enough for kids this age, but also smart enough to engage not only kids' minds, but those of the adults who'll inevitably be playing with them. Even better, at least for my family's current needs, is one that's made for just two players, not four-but-you-can-sort-of-play-lamely-with-fewer—and such games are very hard to find. Quallop, which melds dominoes with a 2-D version of Connect Four to invent a novel strategic challenge of its own, qualifies. The goal is to get four of your shape in a row on the board, horizonally, vertically, or diagonally, before the other player does; the trick is that the game is played with two-sided, domino-style cards—which can be played on top of existing ones (according to specific rules). So your brilliant strategy to get your four-in-a-row going in the lower left corner of the board can be demolished with one card play from your youthful opponent. The strategy is both easy enough for a six-year-old to get his head around, and complex enough to allow for reasonably long games. As if that weren't enough, the design and packaging are excellent as well—this is a Chronicle Books product, after all: The board folds into a nifty little colorful case that encompasses all the cards and the rule sheet, then holds itself closed thanks to a hidden magnet. 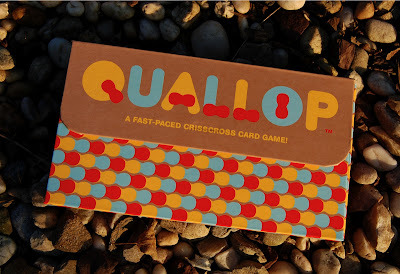 Obviously, this makes Quallop a pretty fabulous travel game; I think it's going to be come a stand-by on our trips this fall and winter. 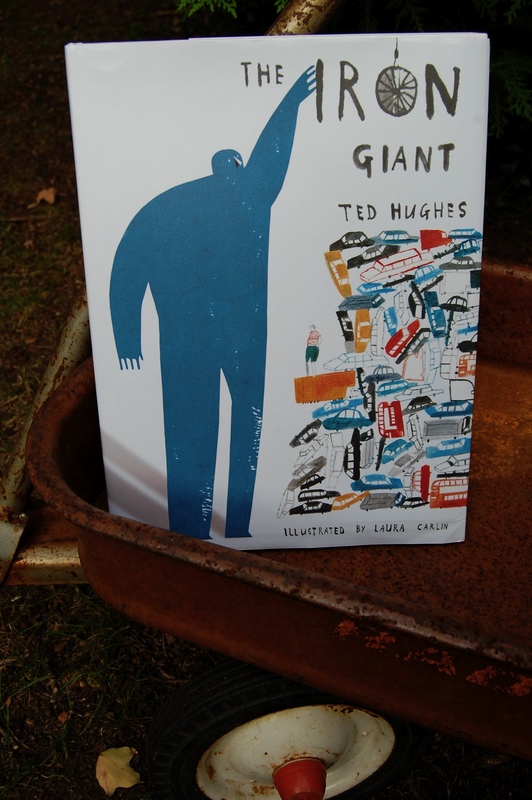 I completely missed Ted Hughes's 1968 children's fable The Iron Giant in my own childhood; I don't know if it had fallen out of vogue in late-1970s New York, or if it simply hadn't made significant inroads in America yet at that point, or if it was just a random omission. But my first exposure to the story of the metal-consuming colossus who befriends a young English boy named Hogarth came when Pete Townshend wrote a musical based on it in the late ’80s. That adaptation in turn led, through the typical Hollywood twists and turns, to Brad Bird's loosely based animated version in 1999, which we discovered once we'd had kids of our own several years later. But for some reason, despite these cues (it's always a pretty good sign when multiple artists I admire express admiration for the same work of art), I'd never gone back to Hughes's original text. Apparently that discovery required this new edition, which features suitably expansive, wondrous illustrations by Laura Carlin; at any rate, I now can't believe I put it off so long. The Iron Giant (or, as it's known in its native U.K., The Iron Man, the change on our shores having been caused by the pre-existing Marvel Comics hero now portrayed by Robert Downey) is really an epic for children—Hughes has endowed it with the power of stories like those of Odysseus and Gilgamesh while keeping it simple and accessible to kids. His day job as a prominent poet is in full evidence; you have the sense that every word has been considered and then chosen. There's nothing quite like it in kid lit, to this day. It’s also engrossing: Our six-year-old was riveted from the opening page, and even our three-year-old's short attention span was held in thrall. Some of that can surely be traced to their prior familiarity with the Brad Bird version—but that adaptation smooths out much of the grand strangeness of the original for modern movie audiences. Yet it’s these elements that aren't in the film—the entire space-bat-angel-dragon storyline, for example—that our boys find most compelling and fascinating. Carlin's art is a large part of the spell, too; her renderings suit the otherworldliness of the text and the storytelling style perfectly. 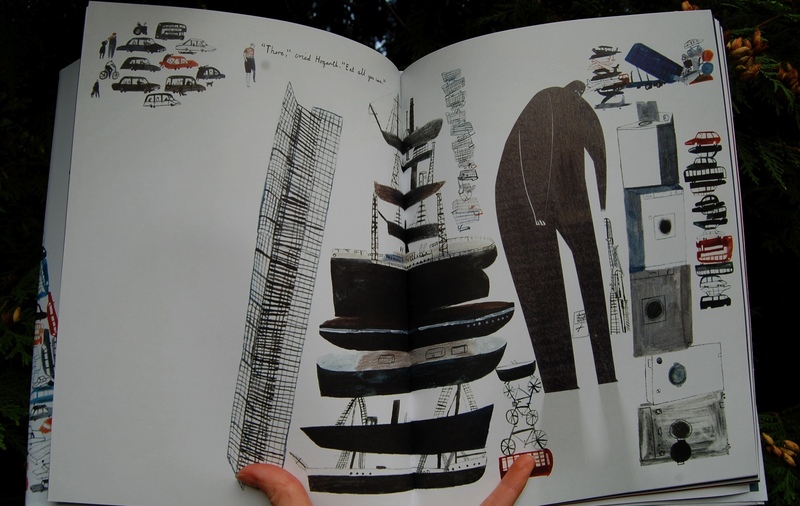 In particular, she does a remarkable job of capturing the book’s scale, managing to combine a big rough-hewn look with carefully considered details that fill out the background of the story. It's a proper edition of a classic I'd never known, and I think it'll be beloved equally by those who are already fans and those like me, who didn't know it well previously. It now holds a place of honor on our shelf of children’s-book classics. It's not easy to find board books that stand out from the (huge!) crowd—it's another of those subgenres that has many good options but few great ones in it. 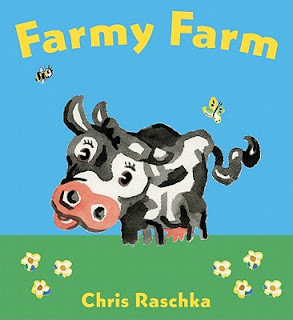 But Chris Raschka's new Farmy Farm is most definitely an exception, for several reasons. First of all, it's called "Farmy Farm." I mean, really, I could just stop there. Second, it's a felt board book. 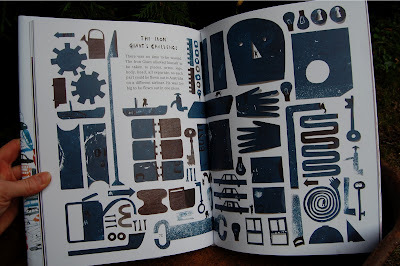 Yes, the entire thing is made of and designed in felt, making it not only pleasantly soft for little hands, but also unexpectedly and unusually lovely to look at. Third, parents and grandparents will be pleased by the author-illustrator's nod to 1950s children's books, in both the art and the simple rhymed couplets about cow, duck, pig, sheep, etc. And finally, it's by Raschka, and so it introduced toddlers to an author who'll be delighting them for the rest of their from the can't-recommend-it-highly-enough Charlie Parker Played Be Bop to the Caldecott-winning Yo! Yes? to this year's wordless A Ball for Daisy. So if you're looking for a truly irresistible and special little board book, look no further. Every parent knows and loves art workbooks; they're sometimes the only nonscreen ways to keep the kids occupied long enough for us to complete a monumental task (like, you know, cooking dinner). And there are a lot of perfectly good ones to choose from, but as with kids' nonfiction, beyond certain obvious distinctions—Pixar or Dreamworks theme, or no?—there aren't too many reasons to pick one over another. 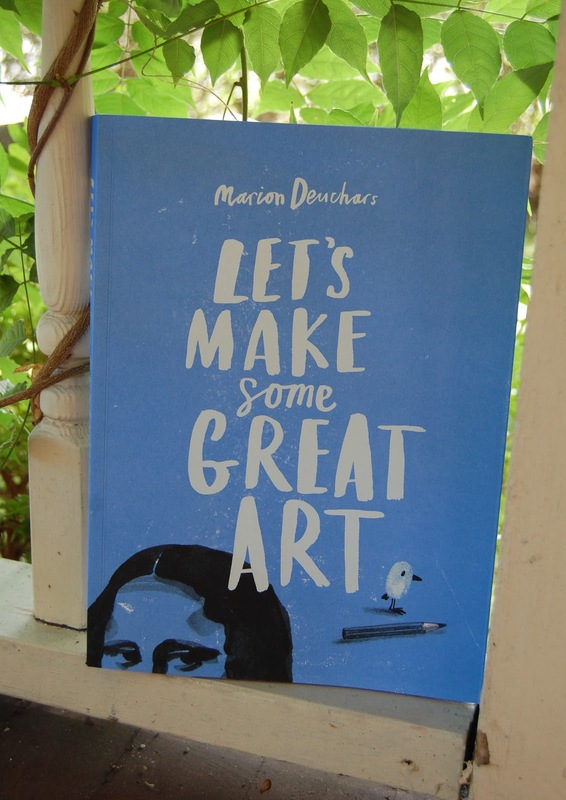 Until now, that is: I'd choose Marion Deuchars's Let's Make Some Great Art over any of the others. 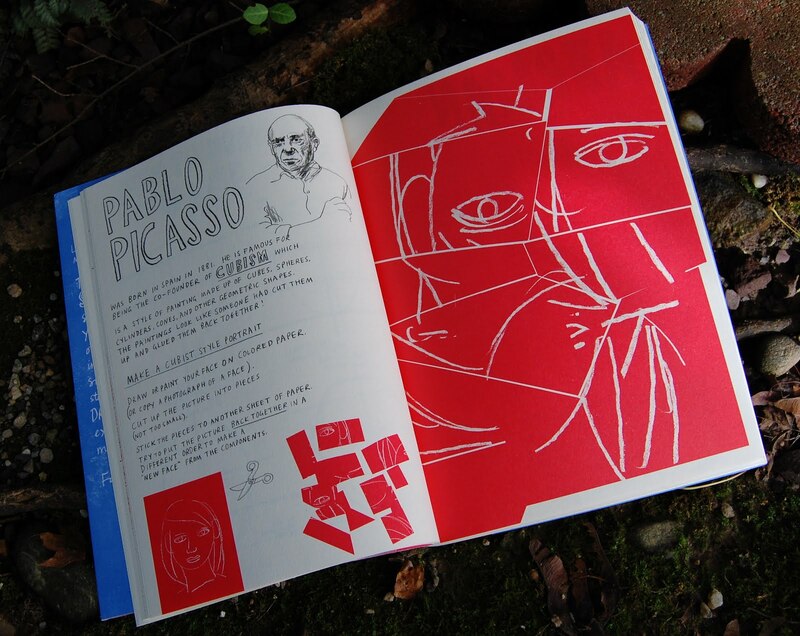 The British illustrator originally created these hand-drawn, real-art-inspired projects for her own kids, and it shows; this is a kid-directed interactive art primer with a sweet, personal touch. Its 224 pages include quick focuses on established art, from cave paintings to Damien Hirst—each offering children a chance to take their own crack at the style, reproducing Mona Lisa's smile, Hirst's shark, Jackson Pollock's action drips, and many more. 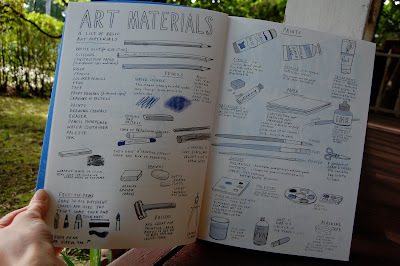 Others feature concise lessons in technique—shading, form, perspective—often in the form of games or projects that feel like play rather than learning. Another bunch deal with content, presenting, for example, a small figure of a frightened person, and instructing the child/artist to create in this page's large blank space the reason for the fear. It goes on and on like that, each page as simple and brilliant as the last. Deuchars has created the holy grail of activity books as far as culturally minded parents are concerned: deeply engrossing to kids, yet delivering far more than a mere distraction. The only trouble with Let's Make Some Great Art, really, is you may have to resist an urge to do some of the projects and exercises yourself—or, if you can't, get an additional copy so you can … as my wife is quite seriously considering doing. 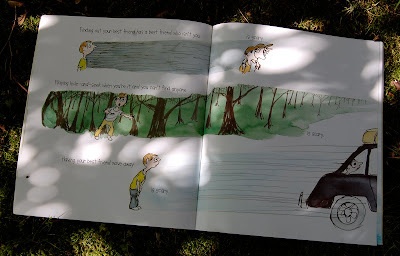 Good picture books—all books, really, I suppose—are usually equal parts brilliant concept and brilliant execution, but most lean more heavily on one or the other. The concept of Some Things Are Scary, a book originally released in 1969 but recently reissued, is simple enough: It's a book about scary things (real-life ones; this is not, as I misunderstood from the title at first, a Halloween book!). But it has a leg up on most of its subgenre: it was written by Florence Parry Heide, veteran author of classics like the Treehorn trilogy, and illustrated by Jules Feiffer, whose work on The Phantom Tollbooth and many other children's books is just one portion of an iconic career. What this means in practice is that a seemingly straightforward idea is surprisingly clever, imaginative, and expressive. Each sentence of the book is simply something a kid would find scary—say, discovering the hand you're holding isn't Mommy's after all—but Heide keeps the throughline unpredictable, jumping smartly from personal, concrete fears (strange food on the dinner plate) to social anxieties (worry over being the last kid picked in pickup team sports) to kid existential angst (finding out your best friend has...another best friend) and then back to the concrete again. Meanwhile, Feiffer visualizes every one of these fears in his inimitable fashion, capturing the feeling behind each with uncanny precision. (Click on the image below to see better what I mean.) He also imparts his usual wry humor, somehow without ever undercutting the validity of the feelings he's portraying. He's laughing with, not at, the situations, which allows parents to smile in recognition (and even personal remembrance in many cases), while kids can see that they're not the only ones who feel the way they feel. It's nothing fancy—just a breath of fresh air in what could have been just another stale go at a common picture-book subject. And it's a testament to what kid-lit royalty is capable of. Indeed, it's evidence of why and how they became royalty in the first place. 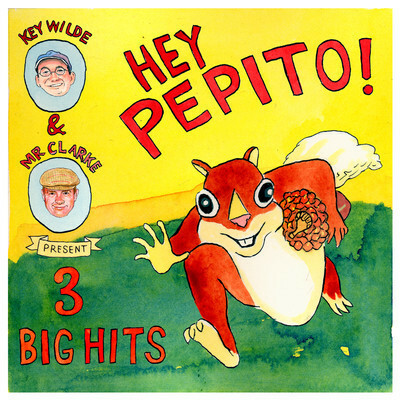 On their follow-up EP, the download-only release Hey Pepito!, the duo swing from the (truly!) punk sound of the title track (about a frenetic squirrel, suitably enough) to the happy indie pop of "Don Mario's Song" to the folk homage to Seeger and early Dylan "Talking Big Pet Pig"—and as always, all of it sounds fantastic. "Hey Pepito" itself (the song, I mean) is probably the highest-energy kids' song I've ever heard—in a good way; I used to try to drag myself into consciousness back in my college years with the Pixies' "Debaser," and this might be that kid-friendly replacement I so desperately need. It's a short but sweet set of songs that kids will love (let them wear themselves out dancing to the first two tracks!) and parents will be happy to play as well.